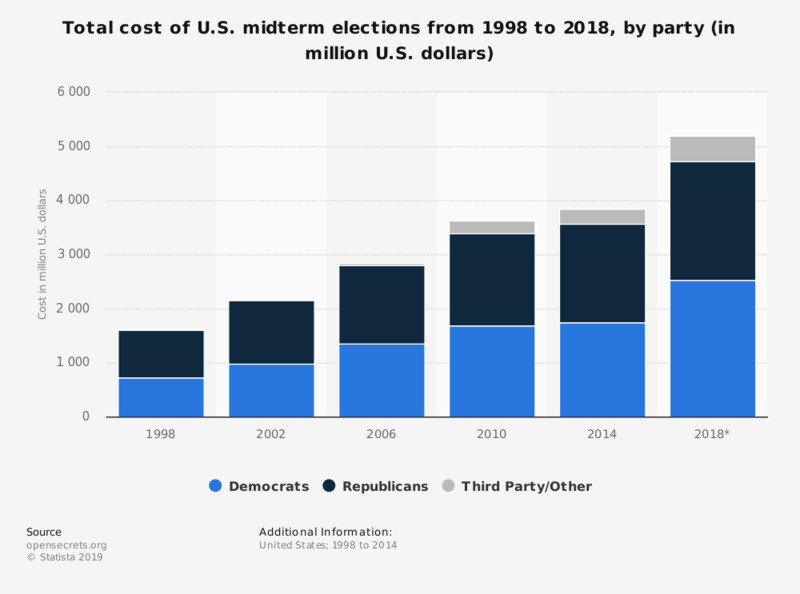 This statistic shows the total cost of United States midterm elections from 1998 to 2018, by party. In 2018, it is projected that the midterm elections will cost about 5.2 billion U.S. dollars. Democrats are projected to spend around 2.5 billion U.S. dollars, Republicans 2.2 billion U.S. dollars, and third party candidates 460.3 million U.S. dollars. Midterm elections in the United States occur every four years, halfway through a president's term, on the first Tuesday after the first Monday in November.